ALBANY, N.Y. (AP) — Lawmakers in New York have voted to join most other states in allowing citizens to cast a ballot before Election Day. The Senate and Assembly both approved legislation Monday that would require counties to allow in-person voting up to 10 days before an election. The measure now goes to Democratic Gov. Andrew Cuomo, who supports the idea. Supporters say giving citizens more time to vote will increase turnout and reduce lines on Election Day. The bill passed over the objections of some Republicans, who questioned the need and the cost and said advance voting could lead to voting fraud. 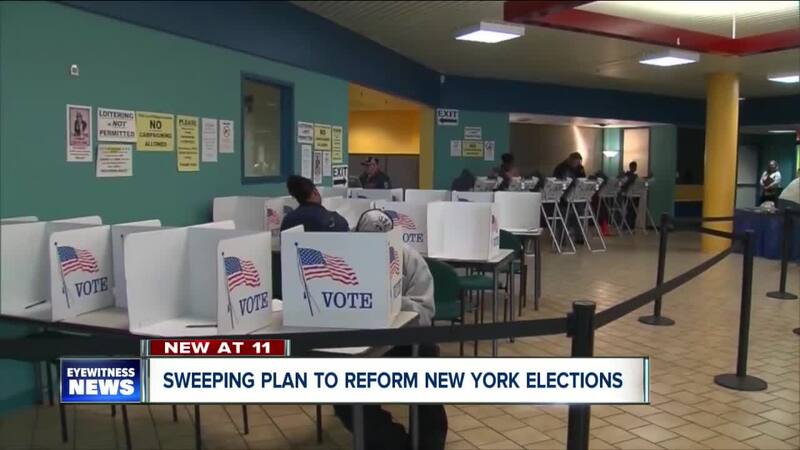 The bill's sponsor in the state Senate, Democrat Myrie Zellnor of Brooklyn, said early voting will give citizens flexibility, potentially boosting the state's historically low turnout compared to other states.